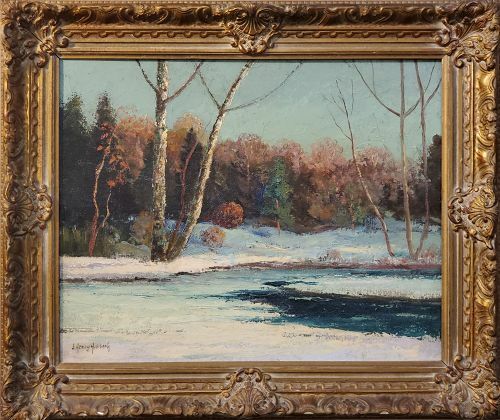 J. Henry Hallberg, American 2nd quarter 20th C.
Oil on canvas, signed and signed and titled verso. In what appears to be the original frame. approx. 16" x 20" canvas size.